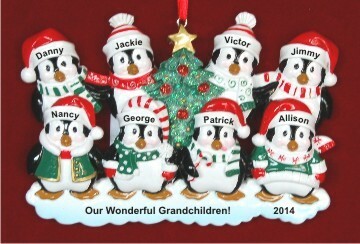 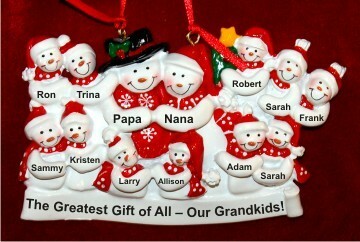 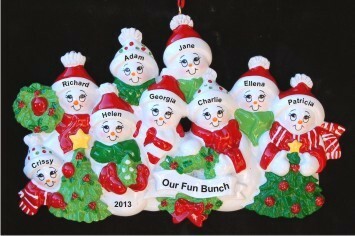 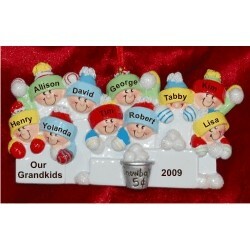 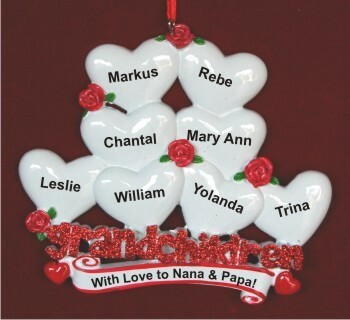 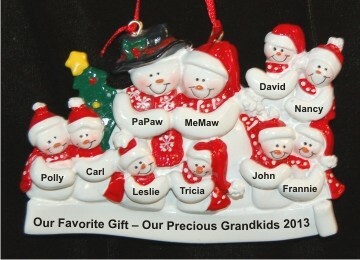 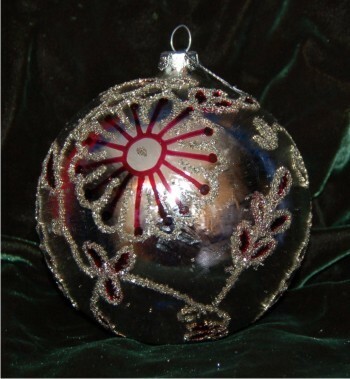 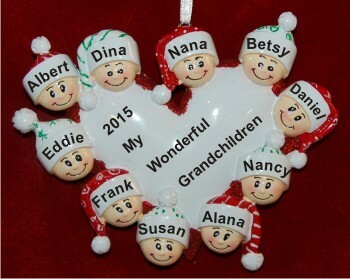 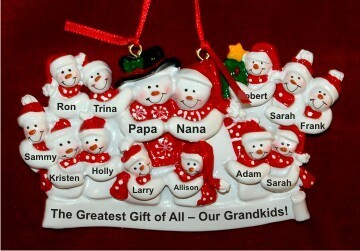 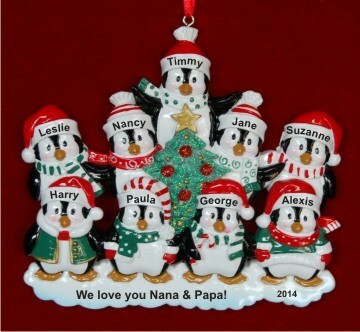 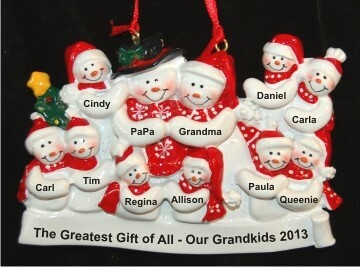 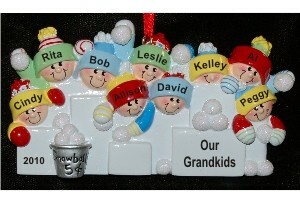 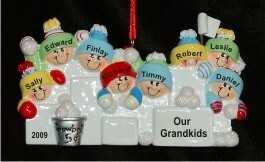 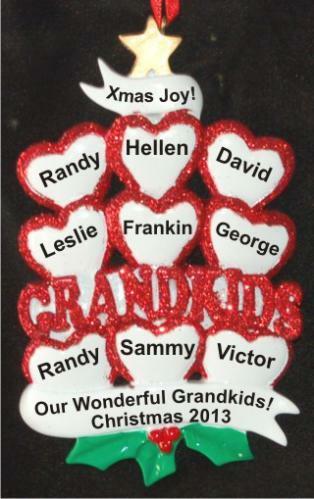 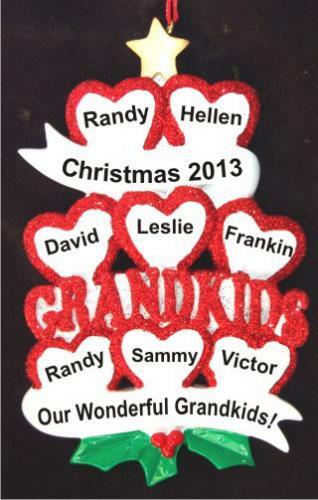 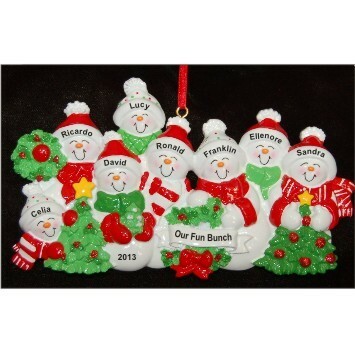 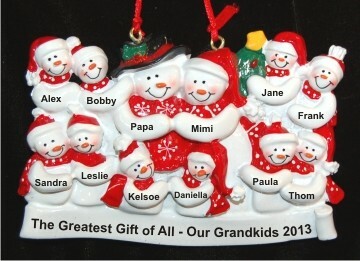 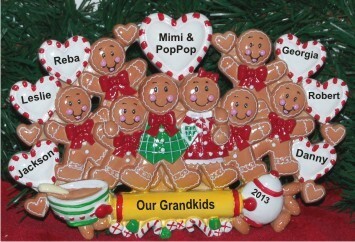 For the love of grandparents, we offer our ornaments for grandparents with 8 or more grandkids. 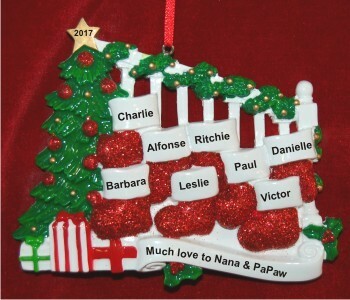 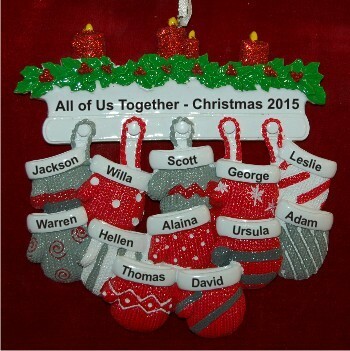 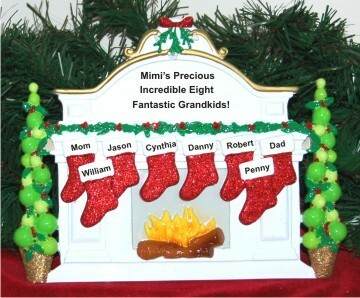 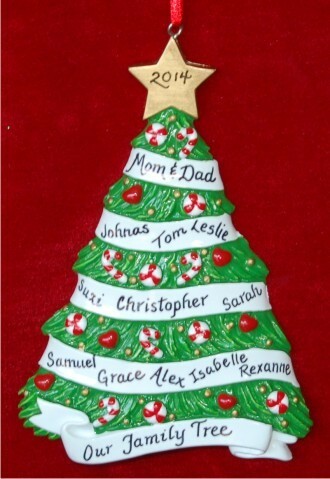 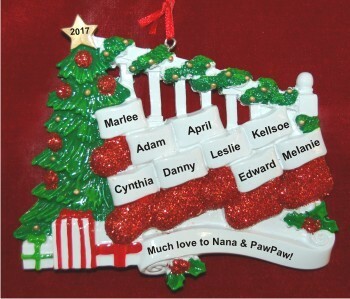 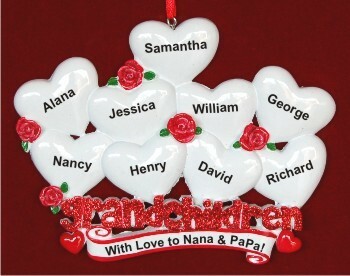 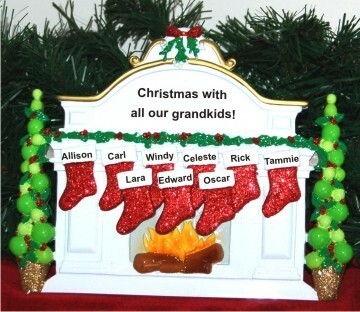 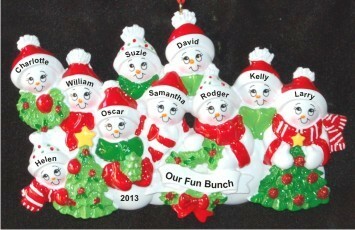 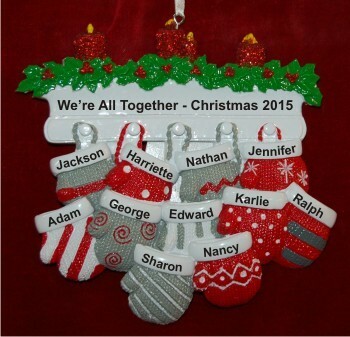 Personalize the ornament with each grandchild's name, the year, and your loving sentiment from all of them. 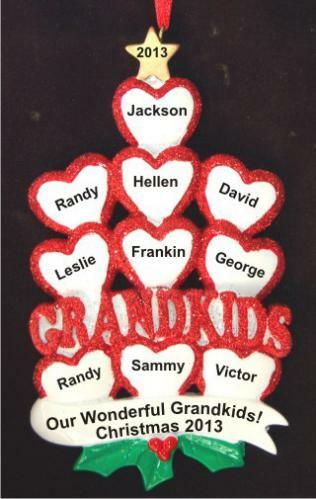 These ornaments were size permits arrive in our classic velvet pouch, ready to make a great personalized gift for grandparents.